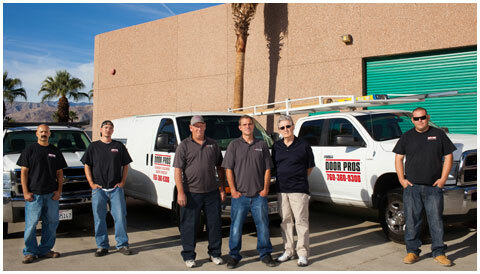 Door Pros is a family owned full service Garage and Sliding door company. We provide repair and installation services to the Coachella Valley and Orange County beach cities in California. Door Pros is licensed, bonded and insured and provides service to both residential and commercial customers. Door Pros is also approved by many HOAs. We have two branches and serve the Coachella Valley and Beach cities in California. Door Pros’ emergency service is available 24 hours a day 7 days a week. We specialize in the repair and replacement of overhead doors, openers and sliding glass/screen doors, both residential and commercial. Door Pros is known for our professional reputation in the area of repairs, replacements and customer service. We are on time and are willing to go the extra mile to take care of your needs. Customer satisfaction is our highest priority as we have thousands of satisfied customers.